Update: We previously listed the debut as next week, but it’s actually next month. Check out the updated story below! Manga veteran Rumiko Takahashi is preparing to kick off a brand new title in Weekly Shonen Sunday next month! 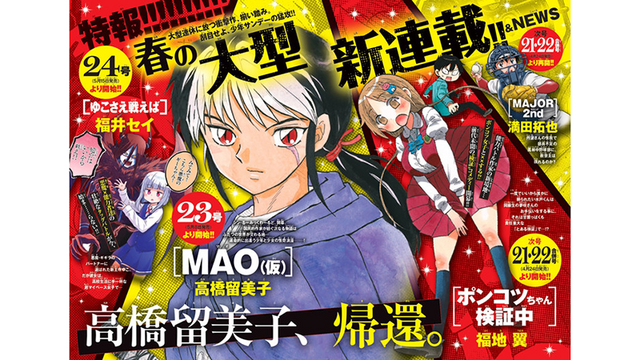 The new series, tentatively titled MAO, will make its debut in issue 23 of the manga mag. Little is known of what’s to come, save for our first look at the protagonist and the simple summary “The place where two worlds meet.” The new series will mark Takahashi’s first since RIN-NE ended in 2017. 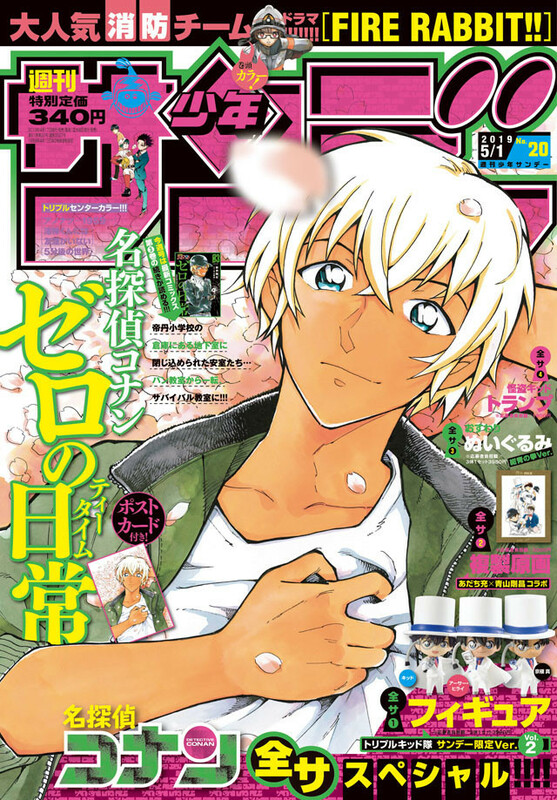 The upcoming May issue (20) will include the latest installment of Case Closed spinoff Detective Conan: Zero’s Teatime. It hits newsstands in Japan tomorrow. Kara Dennison is a writer, editor, and interviewer with bylines at VRV, We Are Cult, Fanbyte, and many more. She is also the co-founder of Altrix Books and co-creator of the OEL light novel series Owl’s Flower. Kara blogs at karadennison.com and tweets @RubyCosmos.